Tom Petty still has the attitude to keep him in rock 'n' roll. Tom Petty, like the title of his guitar anthem, is a guy who won't back down. He battled his record label and, later, his publishing company. He fought with a tire manufacturer who used a Petty sound-alike song in its commercial. He threatened not to play a show in New Jersey when officials prevented Greenpeace from setting up information booths in the lobby. It's that attitude, perhaps, that has contributed to Petty's staying power in the rock world. Petty and his band, The Heartbrealers, perform Saturday in the opening show of The Gorge season. Alt-rockers The Wallflowers, fronted by Bob Dylan's son Jakob, open the sold-out concert. Twenty-five years have passed since Petty and The Heartbreakers released a self-titled debut. That record spawned the group's first Top 40 hit, "Breakdown." But it wasn't until 1979 that Petty's brand of straightforward lyrics and hook-heavy melodies really caught on. With "Damn the Torpedoes," Petty and The Heartbreakers sold some 3 million copies and produced radio mainstrays lke "Refugee," "Here Comes My Girl" and "Don't Do Me Like That." 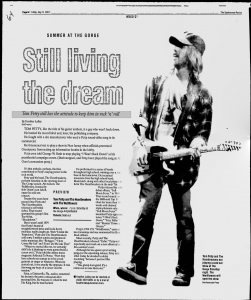 "When we started this out, we certainly didn't do it thinking we were gonna build a career on it," Petty told the online music magazine Addicted To Noise. "Now they have schools you can go to to be a rock guitarist or singer or whatever. When we started out, it was exactly the opposite. It was throwing any hope of a career out the window." Petty, a Gainesville, Fla., native, cemented his dream to become a musician after meeting Elvis. He was just 11 when he met The King, but he was hooked. He performed in a series of bands throughout high school, winning over a fan base in his hometown. He recruited musicians from his high school band, Mudcrutch, along with other local players to form The Heartbreakers in the mid-'70s. 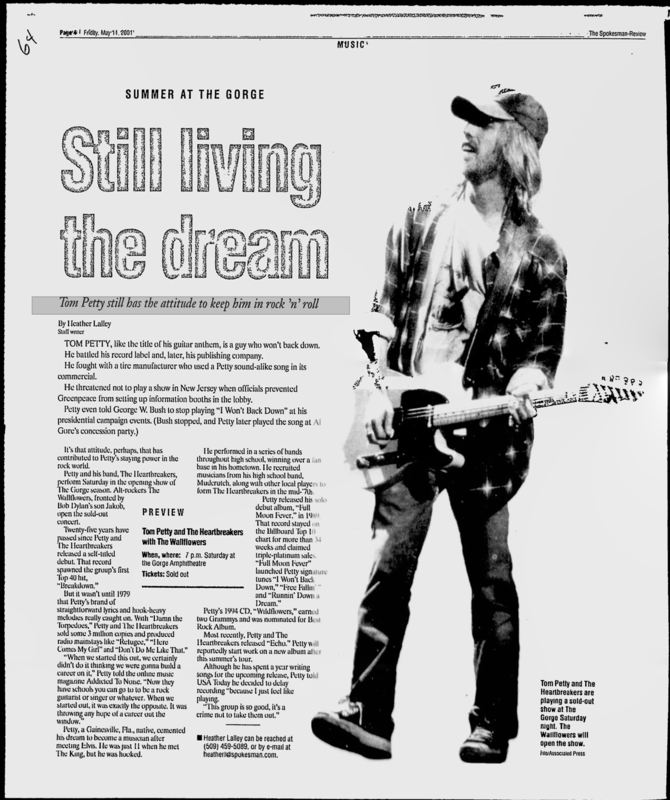 Petty released his solo debut album, "Full Moon Fever," in 1989. That record stayed on the Billboard Top 10 chart for more than 34 weeks and claimed triple-platinum sales. "Full Moon Fever" launched Petty signature tunes "I Won't Back Down," "Free Fallin'" and "Runnin' Down a Dream." Petty's 1994 CD, "Wildflowers," earned two Grammys and was nominated for Best Rock Album. Most recently, Petty and The Heartbreakers released "Echo." Petty will reportedly start work on a new album after this summer's tour. Although he has spent a year writing songs for the upcoming release, Petty told USA Today he decided to delay recording "because I just feel like playing. "This group is so good, it's a crime not to take them out."